Ocean and to the east by the Indian Ocean. 941,249,130 population 2007 estimate for Africa. 44,234,240 users in Africa as of December/07, a 4.7% penetration rate. 1,097,200 broadband internet subscribers as of September/2007. 2,460,000 internet users as of August/07, 7.4% of the population, per ITU. 195,000 broadband internet subscribers as of Sept/07, 0.6% penetration. Algeria Internet Usage and Telecommunications Market reports. 172,000 Internet users as of Sept/2005, 1.4% of the population, per ITU. Angola Information and Search Engines. 700,000 internet users as of Aug/07, 8.7% of the population, per ITU. 100 broadband internet subscribers as of Sept/07. Benin Internet Usage and Telecommunications Market reports. 60,000 internet users as of Dec/02, 3.3% of the population, per ITU. 1,600 broadband internet subscribers as of Sept/07, 0.1% of the population. 80,000 Internet users as of Sept/07, 0.6% of the population, per ITU. 1,700 broadband subscribers as of Sept/06, per ITU. Burkina Faso map and data. 60,000 Internet users as of Aug./07, 0.7% of the population, per ITU. 370,000 Internet users as of Aug./07, 2.0% of the population, per ITU. 200 broadband internet subscribers as of Sept/07, per ITU. 29,000 Internet users as of Sept/05, 6.8% of the population, per ITU. 1,800 broadband internet subscribers as of Sept/07, per ITU. Cape Verde map and data. Africa Internet Usage and Telecommunications Market reports. 13,000 Internet users as of Sept/07, 0.3% of the population, per ITU. Central African Republic map and data. 60,000 Internet users as of Sept/07, 0.6% of the population, per ITU. 21,000 Internet users as of Sept/07, 3.0% of the population, per ITU. Map and information for Comoros. 70,000 Internet users as of Sept/07, 1.8% of the population, per ITU. 180,000 Internet users as of Sept/07, 0.3% of the population, per ITU. 1,500 broadband internet subscribers as of Sept/07, per ITU. Congo Democratic Republic map and data. 300,000 Internet users as of Sept/07, 1.6% of the population, per ITU. 1,200 broadband internet subscribers as of Sept/07, per ITU. Ivory Coast map and general data. 11,000 Internet users as of Sept/07, 2.2% of the population, per ITU. Djibouti map and general data. 6,000,000 Internet users as of Aug./07, 7.5% of the population, per CIA. 205,500 broadband internet subscribers as of Sept/07, per ITU. Egypt map and general data. Egypt Internet Usage and Telecommunications Market reports. 8,000 Internet users as of Sept/07, 1.5% of the population, per ITU. Equatorial Guinea map and data. 100,000 Internet users as of Sept/07, 2.0% of the population, per ITU. General data and Eritrea map. 164,000 Internet users as of Sept/07, 0.2% of the population, per ITU. Ethiopia Internet Marketing, Search Engines and Telecommunications. 81,000 Internet users as of Sept/07, 5.6% of the population, per ITU. 58,000 Internet users as of Sept/07, 3.4% of the population, per ITU. 100 broadband internet subscribers as of Sept/07, per ITU. 609,800 Internet users as of Sept/07, 2.7% of the population, per ITU. 12,700 broadband internet subscribers as of Sept/07, per ITU. Ghana Internet Usage and Telecommunications Market reports. 50,000 Internet users as of Sept/07, 0.5% of the population, per ITU. General data and Guinea map. 37,000 Internet users as of Sept/07, 2.5% of the population, per ITU. Guinea Bissau map and data. 2,770,300 Internet users as of Sept/07, 7.5% of the population, per ITU. Kenya Internet Usage and Telecommunications Market reports. 51,500 Internet users as of Sept/07, 2.4% of the population, per ITU. Government online, news, and links to Lesotho. 1,000 Internet users as of Dec/2002, 0.03% of the population, per CIA. 232,000 Internet users as of Sept/07, 3.8% of the population, per ITU. 110,000 Internet users as of Sept/07, 0.6% of the population, per ITU. 59,700 Internet users as of Sept/07, 0.4% of the population, per ITU. 400 broadband internet subscribers as of Sept/07, per ITU. 70,000 Internet users as of Sept/07, 0.6% of the population, per ITU. 2,900 broadband internet subscribers as of Sept/07, per ITU. 30,000 Internet users as of Sept/07, 0.9% of the population, per ITU. 700 broadband internet subscribers as of Sept/07, per ITU. 300,000 Internet users as of Sept/07, 24.0% of the population, per ITU. 21,900 broadband internet subscribers as of Sept/07, per ITU. 6,100,000 Internet users as of Sept/07, 18.1% of the population, per ITU. 390,800 broadband internet subscribers as of Sept/07, per ITU. Morocco Internet Marketing and Search Engines. 178,000 Internet users as of Sept/07, 0.9% of the population, per ITU. Search Engines and Directories for Mozambique. 80,600 Internet users as of Sept/07, 3.9% of the population, per ITU. 40,000 Internet users as of Sept/07, 0.3% of the population, per ITU. 8,000,000 Internet users as of Sept/07, 5.9% of the population, per ITU. 500 broadband internet subscribers as of Sept/07, per ITU. Brief on the Nigerian economy. Nigeria Internet Usage and Telecommunications Market reports. 220,000 Internet users as of Sept./07, 27.4% of the population, per ITU. Reunion overview and facts, from the BBC. 1,700 broadband internet subscribers as of Sept/07, per ITU. 1,000 Internet users as of Dec./2003, 13.3% of the population, per CIA. Homepage of Saint Helena in the South Atlantic Ocean. 29,000 Internet users as of Sept/07, 14.5% of the population, per ITU. Sao Tome & Principe data and map. 650,000 Internet users as of Sept/07, 5.2% of the population, per ITU. 28,900 broadband internet subscribers as of Sept/07, per ITU. Senegal Internet Usage and Telecommunications Market reports. 29,000 Internet users as of Sept/07, 35.4% of the population, per ITU. 1,300 broadband internet subscribers as of Sept/07, per ITU. 10,000 Internet users as of Mar/07, 0.2% of the population, per ITU. Sierra Leone map and data. 94,000 Internet users as of Sept/07, 0.8% of the population, per ITU. 5,100,000 Internet users Sept/06, 11.6% of the population, per ITU. 165,300 broadband internet subscribers as of Sept/07, per ITU. and Bloemfontein is judicial capital. South Africa map and information. and e-Marketing in South Africa Report. South African Internet Technology research website. mining, energy and international trade websites. South African stainless steel business directory. 3,500,000 Internet users as of Sept/07, 8.9% of the population, per ITU. > 2,100 broadband internet subscribers as of Sept/07, per ITU. Sudan Internet Marketing and Search Engines. 41,600 Internet users as of Sept/07, 3.7% of the population, per ITU. Note(*): Mbabane is the administrative capital; Lobamba is the royal and legislative capital. TZ - 39,384,223 pop. - Country Area: 945,087 sq. km. 384,300 Internet users as of Sept/07, 1.0% of the population, per ITU. 320,000 Internet users as of Sept/07, 5.6% of the population, per ITU. 1,618,440 Internet users as of June/07, 15.7% of the population, per ATI. 43,800 broadband internet subscribers as of Sept/07, per ITU. Tunisia Internet Usage and Telecommunications Market reports. 750,000 Internet users as of Sept/07, 2.5% of the population, per ITU. Uganda Internet Usage and Telecommunications Market reports. 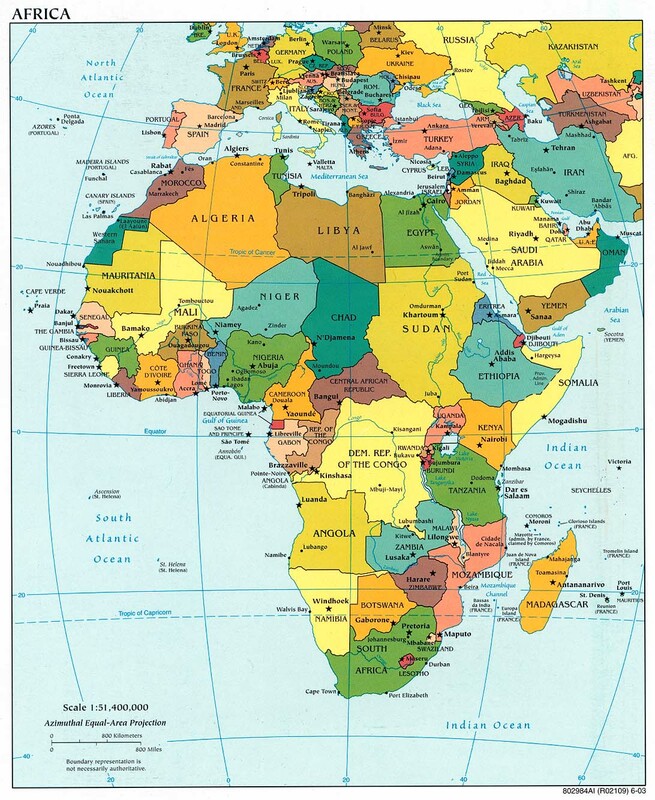 Note(*): Western Sahara is virtually annexed by Morocco. 500,000 Internet users as of Sept/07, 4.4% of the population, per ITU. 2,300 broadband internet subscribers as of Sept/07, per ITU. 1,220,000 Internet users as of Sept/07, 9.9% of the population, per ITU. 10,200 broadband internet subscribers as of Sept/07, per ITU. Zimbabwe Internet Marketing, Search Engines and Telecommunications.